FAST SHAVE WITH NO EFFORT: The sharp 6 blades quickly and efficiently removes the fuzzy pills from your clothes, frees you from the fur-filled clothes and quickly gets a new garment. The honeycomb shaving knife net at the bottom of the fabric shave can effortlessly remove fuzzy pills of different sizes. The huge contact surface can perfectly fit your clothes and make your clothes, furniture, sweaters, scarves, socks and velvet toy quickly renewed. 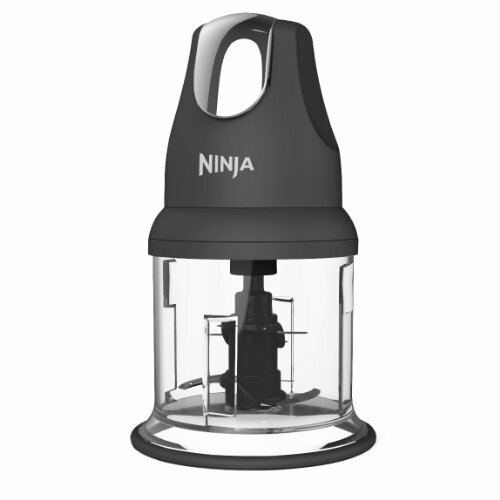 PROTECT CLOTHING AND HANDS: This lint remover has an automatic power-off protection inside. When the shaving net is loose, the lint remover automatically stops working to prevent the blade from falling and cutting your clothes and hands. 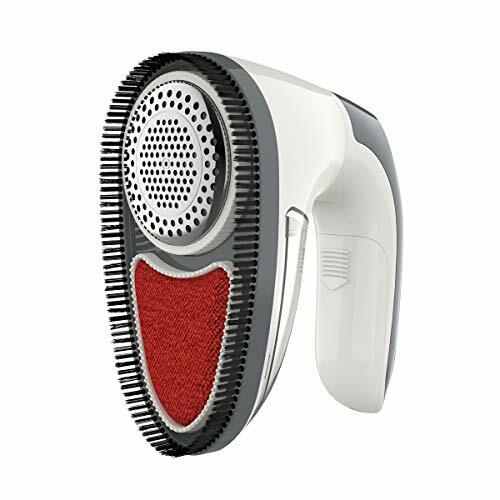 The bottom has an electrostatic brush and a cleaning brush, which can completely remove the static electricity and dust,keep clean after shaving. MULTI-ANGLE CLEANING: The free-rotating handle can satisfy your multi-angle shaving. You can remove the fuzzy pills on the clothes conveniently and efficiently. 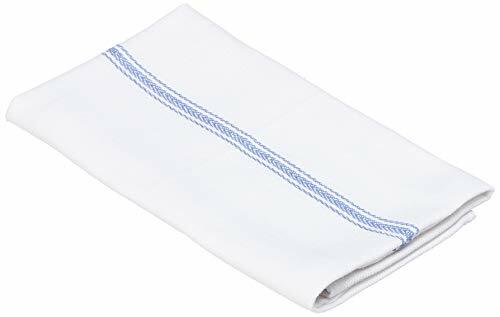 No matter how hard it is to clean your clothes, the good feeling of this fabric remover allows you to spend less time and effort. Dodocool lint remover is a cost-effective and pratical fabric shaver. It’s suitable for all fabrics. With precision blades & different honey holes, it offers you the quick and efficient removing experience with no harm on your fabrics. 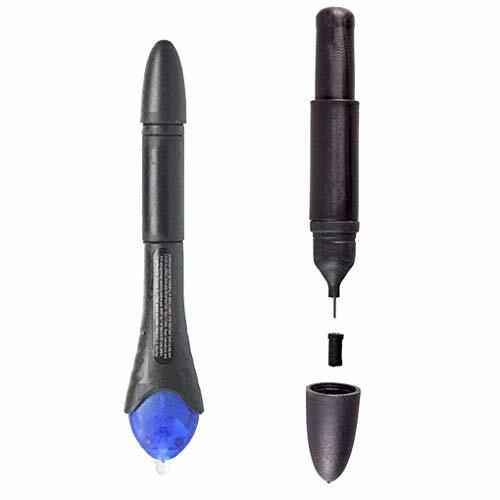 Additionally, it has the 180 degree grip handle and convenient USB recharge function. More matchable for your fabrics. EXTRA LARGE DUST CONTAINER : The large-capacity dust container allows you to use the fuzzy remover multiple times without having to clean the dust frequently. And this fuzzy remover is very easy to clean. The included brush can easily clean the dust on the shaving surface. You don’t have to worry about difficult cleaning up at all. 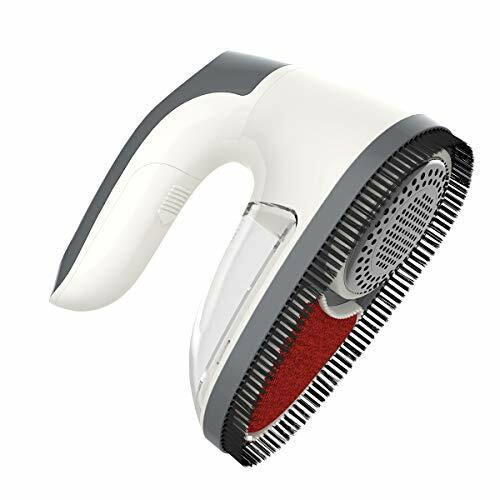 BUILT-IN BATTERY AND USB CHARGING: The high-capacity battery ensures that fuzzy remover maintains sufficient power at all times, and you can use it for a long time without having to charge. The portable USB cable can be used to connected computer or the power bank at all times. never worry about losing power when you use it.